Image acquired with permission from the London Natural History Museum. Unknown collector. 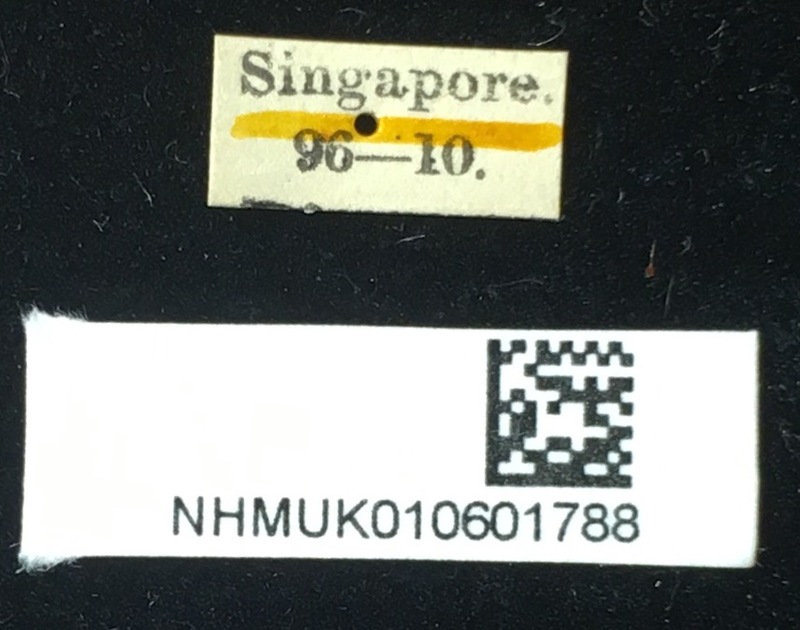 Specimen locality: Singapore. Click here for Creative Commons License and click here to see full resolution label image.